There're some Palm Mobile Phone User Manuals PDF above. Palm was founded in 1992. Its creation is associated with the name Jeffrey Hawkins, who managed to become famous as the Palm Computing and Handspring founder. Three years later they were based Numenta and published a book in which he described his theory of hierarchical temporal memory. "To create the first commercially successful example of manual computing device" elected to the National Academy of Engineering in 2003 Hawkins. Subsequently, also became a member of the Advisory Board "Secular Coalition of America", where he began to advise the coalition on the adoption and implementation of nontheism in life of the United States. 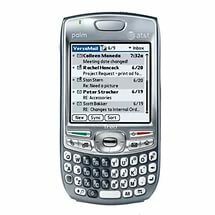 In 2010, Palm has attracted the attention of Hewlett-Packard's (Manuals PDF page) largest company, which it bought for $ 1.2 billion. 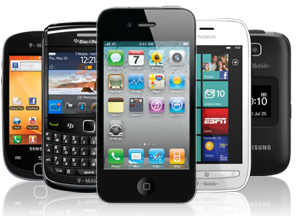 The technological "giant" willing to provide financial support to the former offspring Hawkins, who sought at all costs to stay in the smartphone market. In addition, Hewlett-Packard to be released the world's first tablet running WebOS. Unfortunately, all efforts were in vain again. The new director Leo Apotheker made a number of annoying bugs, and even was removed from the control of the inability to control the situation. In August 2011, Hewlett-Packard announced the dismissal of all the WebOS-based devices, including tablets and smartphones. By October 2014 the firm sold HP Palm trade mark (and related intellectual property rights). Her new owners became the TCL Corporation, the regional president is Nicolas Siebel. Corporation engaged in sales of Android smartphones under the brand Alcatel OneTouch (PDF Manual page). In early 2015 TCL has publicly confirmed the deal on the acquisition of Palm. They also added that they plan to "re-create" a company with a new team, based in Silicon Valley.